On his arrival in 1931, the high commissioner, Sir Herbert Stanley, took up residence at 7 Bryntirion (on the corner of Colroyn and Nassau Roads). 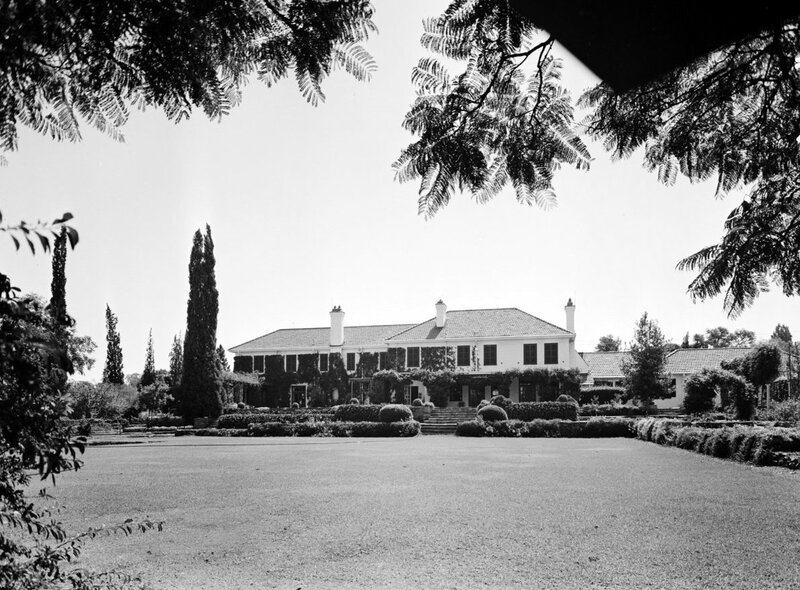 Bryntirion was a green sloping inner suburb to the east of the Union Buildings: the land belonged to the South African government, which was developing it at low density with large pitched-roof bungalows, including for Government House and the houses of the chief officials. No.7 soon proved insufficient for a high commissioner’s purposes. 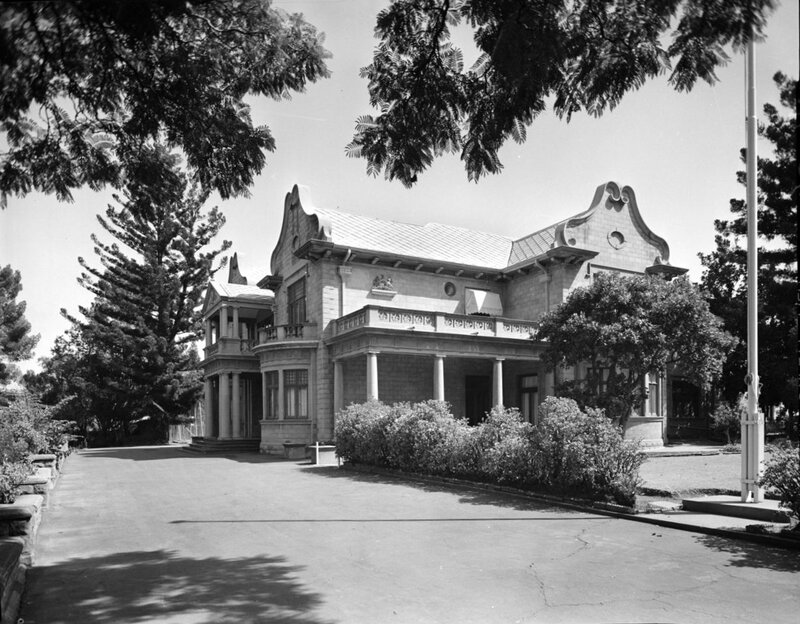 The South African government therefore enlarged nearby 14 Bryntirion (on the south side of Wenlock Road) and Stanley’s successor, Sir William Clark, moved into that residence on his arrival in 1935, on a lease due to expire at the beginning of 1937. The vacated 7 Bryntirion was nevertheless retained for a period as an annex to the new residence at 14 Bryntirion. 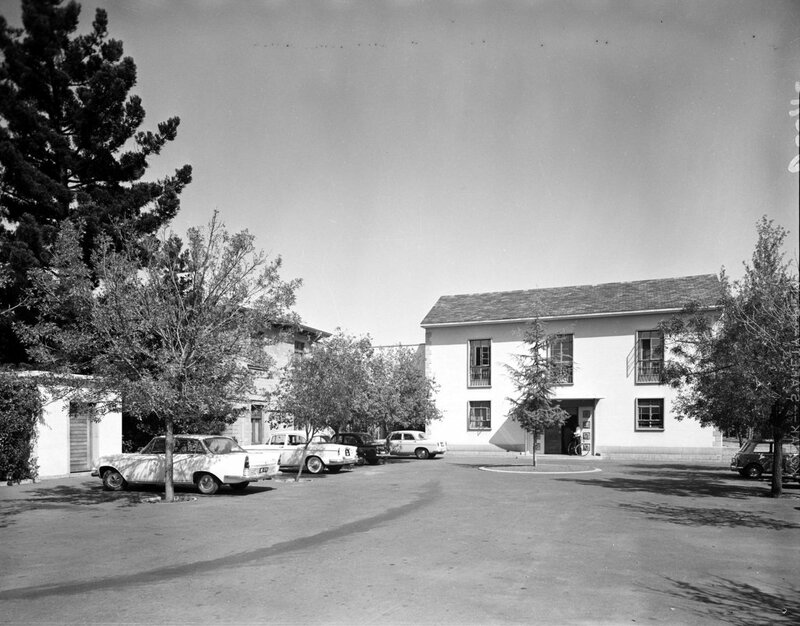 Britain’s pre-1931 staff in Pretoria had their offices in 22 Bryntirion and Stanley’s staff continued to occupy this building as offices until it was scheduled for demolition to make way for a new house for the Prime Minister. In 1935, the high commission offices moved to 9 and 10 Bryntirion (on the north side of Rothsay Road), with Representation Branch in 9 and Administration Branch in 10. This move was intended as a temporary measure until new offices could be built on two contiguous sites, at 20 and 21 Bryntirion (at the corner of Church Street and Dumbarton Road), which had been acquired for this purpose and for which plans had been prepared by Capt. Howard Jones, an architect in the Office of Works. A preferable site for new offices later became available at 25 Bryntirion (at the corner of Church Street and Nassau Road) and 20 and 21 Bryntirion were exchanged for it in 1937. By this time, the South African government’s agreement to provide office sites had come into effect and it therefore funded the Office of Works’ payment of £2,500 for the freehold of 25 Bryntirion. The Office of Works prepared to build new offices on it. It was the wish of my late father, Mr Charles Maggs, that his house “Greystoke” with the four erven [plots] on which it stands, should be offered as a gift to his Majesty’s Government in the United Kingdom. 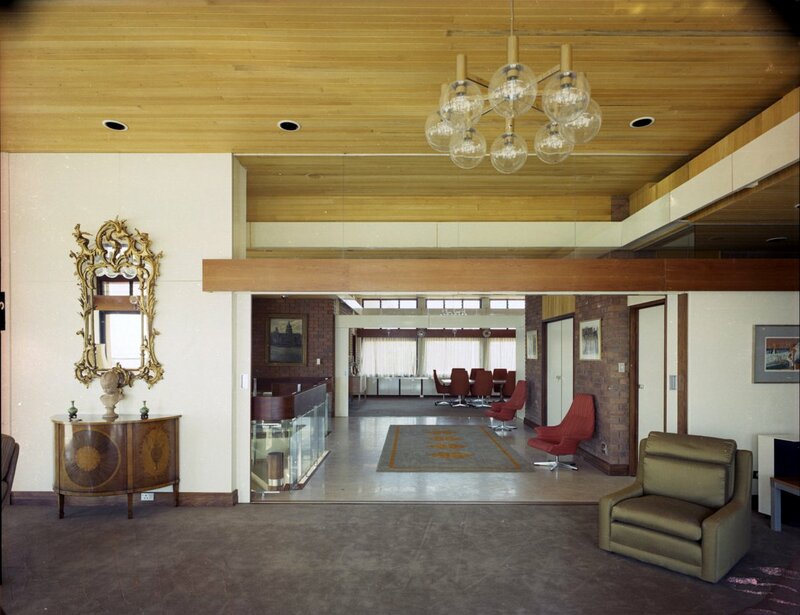 The house would be handed over without furniture or curtains but with all permanent fixtures. It would be available for occupation any time after 30 April 1938. There are no stipulations nor suggestions regarding the use to which the house should be put. My father wished as a South African, to express his gratitude for the United Kingdom’s friendship towards his country: he hoped that his old home would be associated with the closest friendship between his Majesty’s Government in the United Kingdom and his Majesty’s Government in the Union of South Africa. 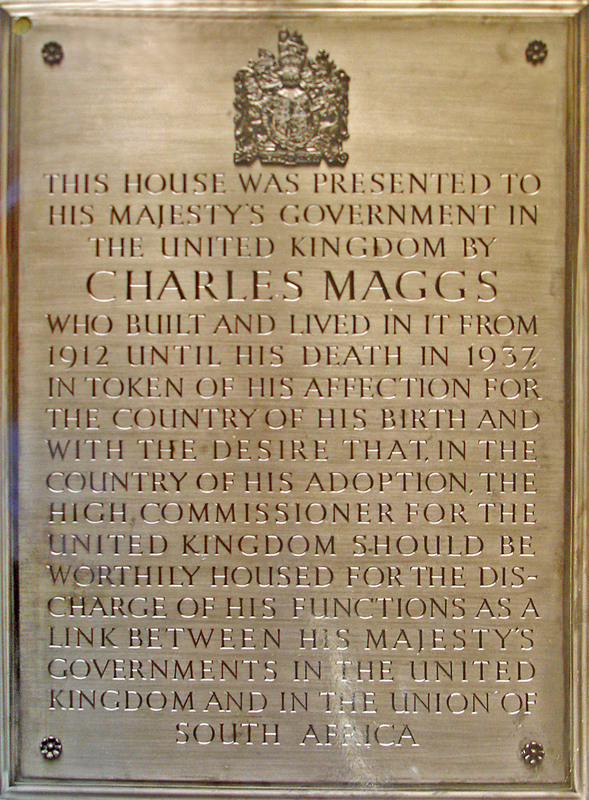 Charles Maggs was born in London in 1865 and went to South Africa in 1880, where he accumulated a fortune and became a director of many enterprises, including the National Bank. He built Greystoke and its garden in 1911 on a (?) three acre site comprising four lots at 6 (now 255) Hill Street, between Pretorius and Schoeman (now Frances Baard) Streets, in Arcadia, the district immediately south of Bryntirion, at a cost of about £25,000. He lived in it for the rest of his life. The Maggs family’s generous offer was not received with the pleasure that might be expected. Clark was comfortably settled into the residence at 14 Bryntirion and, although a new long lease had yet to be negotiated for it, he did not relish moving to Greystoke, which he thought should instead be used as the high commission’s offices. The Office of Works, on the other hand, which had been embarrassed by comparable gifts in the past, did not relish abandoning its laboriously prepared plans for a new office building at 25 Bryntirion in favour of an unwelcome conversion project at Greystoke. Clark’s view prevailed, assisted by his saying that only minor alterations would be required to Greystoke. The offer was therefore accepted and the deed of transfer was dated 19 February 1938. 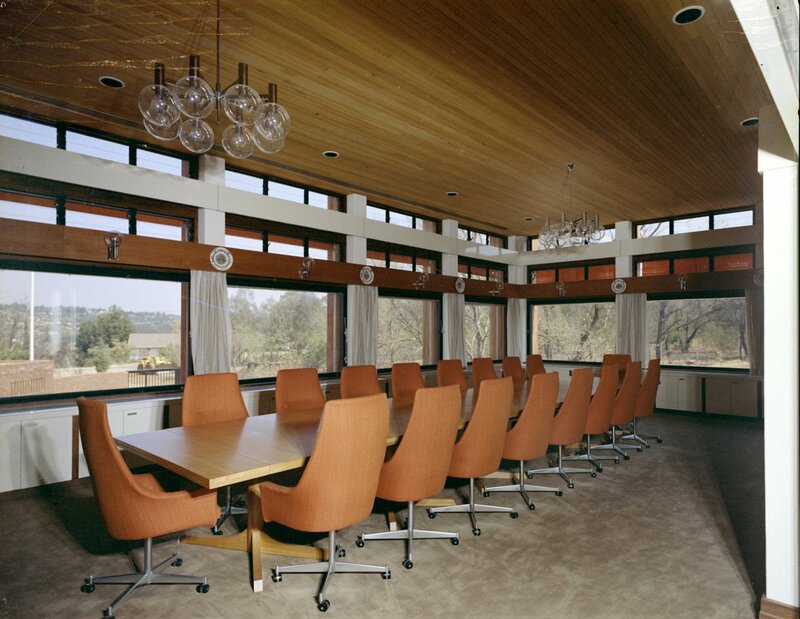 The Office of Works selected Vivian Rees-Poole, in association with the Public Works Department, as architect for the necessary adaptations. By way of commemorating the gift, the high commission suggested paying £80 for a stained-glass coat of arms designed by Rees-Poole but the Office of Works “did not take to” this idea and suggested instead a bronze plaque with a banal inscription. Clark insisted on a longer and warmer inscription and drafted it himself. The high commission offices moved into Greystoke in March 1939, and remains there. Once it was settled in 1938 that Greystoke would become the offices, the lease on the residence at 14 Bryntirion was re-negotiated to expire in 1962. 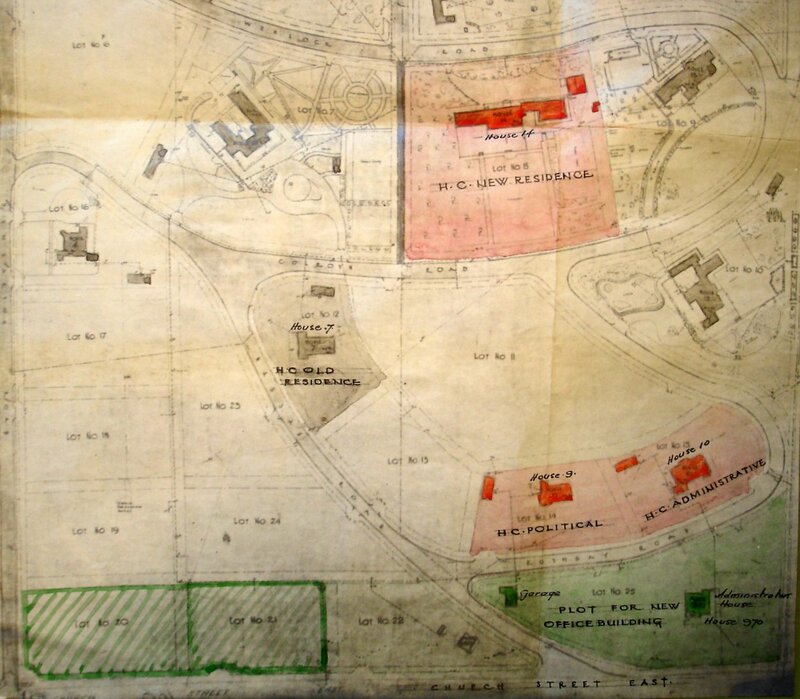 The site at 25 Bryntirion, no longer required for a new offices building, was returned to the Union Government and the £2,500 reimbursed; and 9 and 10 Bryntirion were given up once Greystoke was occupied in 1939. 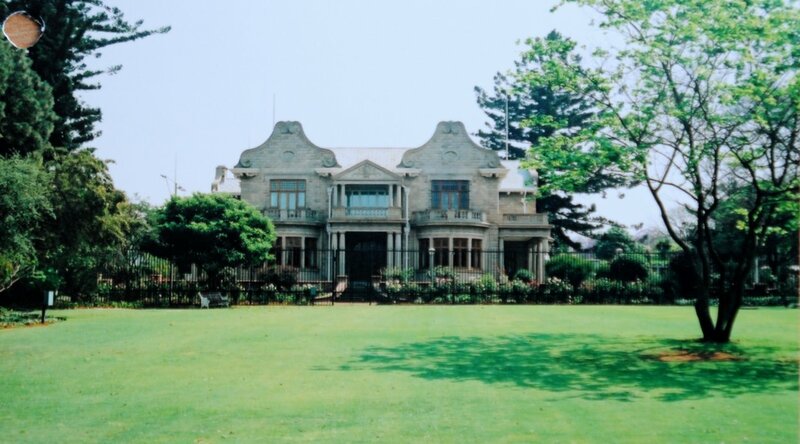 In 1962, the lease on the residence was extended for another ten years, in the expectation that a new residence would have been acquired by 1972 at the latest. In this pursuit, a site of about 1.2 hectares, called Leribe, at 378 Aires Street (formerly 104 Johann Rissik Drive) in the area of Waterkloof Ridge was bought in 1966 for £30,000. 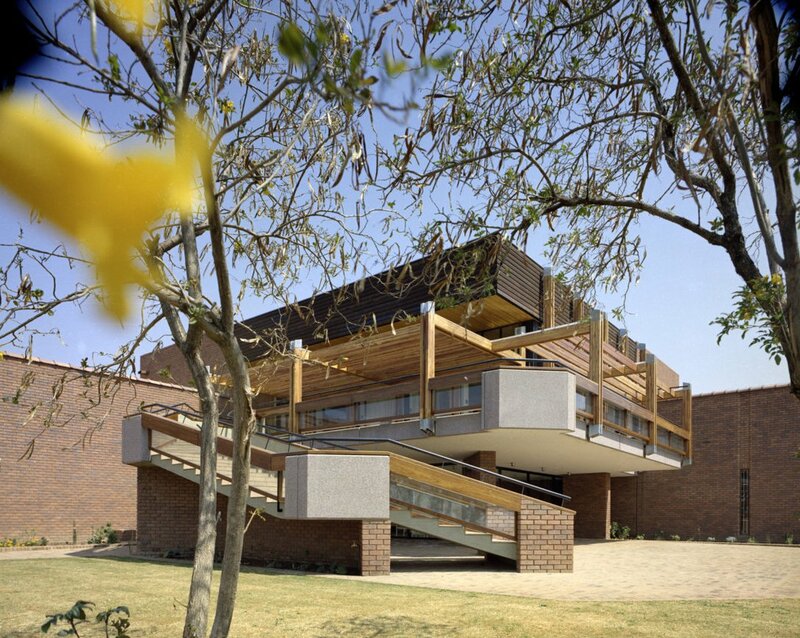 A new residence, designed by David Wager in the London office of the South African architectural practice of Gluckman, de beer, Margoles and Partners, was built on this site. It was an inventive residence design for its time: an L-shaped plan, with the entrance hall as the knuckle on the ground floor, and only bedrooms in the limbs of the L on that floor. 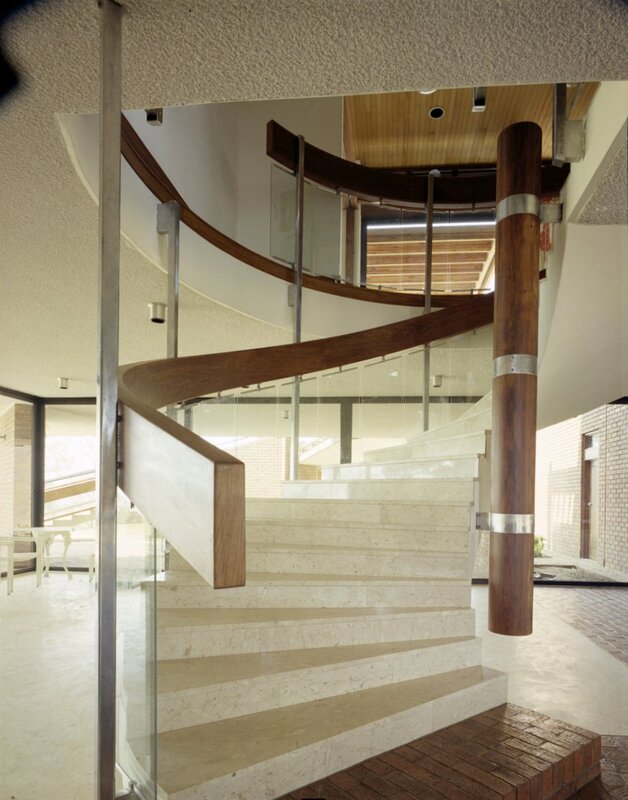 A circular stair rose from the centre of the hall to a large landing above, which gave on to reception and dining rooms, a study and balcony. The master suite comprised the first floor of the main limb, and the kitchens of the other limb. The house was completed in 1973, and the 14 Bryntirion lease was then given up. Properties in Bryntirion occupied by the high commission (in red) and contemplated (in green) in 1935. The garden front of the residence at 14 Bryntirion in 1964. Greystoke, from the entrance gates, 1964. The plaque that records the gift of Greystoke to HMG. The north-east corner of the residence from the garden, 1973. The stair from the hall up to the reception level. 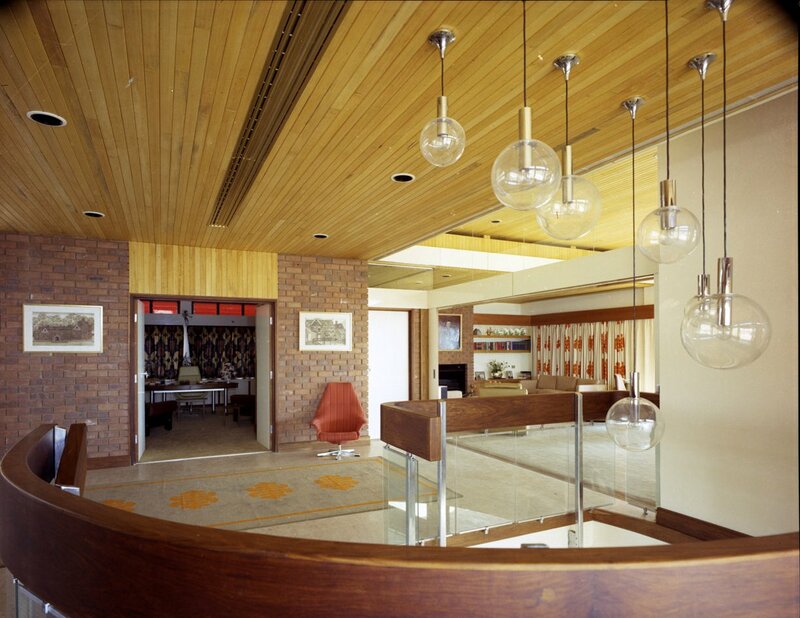 Looking from the drawing room across the landing/foyer to the dining room, 1973. Looking across the head of the stair into the drawing room, with the study on the left, 1973.